The primary concerns of an individual looking to choose the best invisible hearing aid typically are cost, fit, quality, and lifestyle needs. Choosing the best invisible hearing aid is a decision that should be made after consultation with a reputable audiologist or hearing aid dispenser who will work with the individual to ensure that the hearing aid meets the individual’s specific lifestyle and hearing loss needs. The individual should discuss his or her concerns with the hearing aid dispenser and be open and honest about budget and lifestyle concerns in order to allow the hearing aid dispenser to make the best possible recommendations. Invisible hearing aids are referred to by hearing aid specialists as “completely in the canal” hearing aids because the entire hearing aid fits inside the ear canal and is invisible when worn. The casing of an invisible hearing aid is custom-molded to fit the ear canal of the wearer and must be properly fitted in order to be comfortable for daily use. The invisible hearing aid must also be adjusted in order to meet the hearing loss needs specific to the individual, which include amplification of the frequencies at which the individual’s hearing loss has occurred. This adjustment almost always requires multiple visits to the hearing aid dispenser. The most important thing for one to do before choosing an invisible hearing aid is to find a reputable hearing aid dispenser who has had the requisite training and will work with the individual to ensure that the device meets his or her specific needs. The cost of an invisible hearing aid can vary greatly, from relatively inexpensive to very costly. 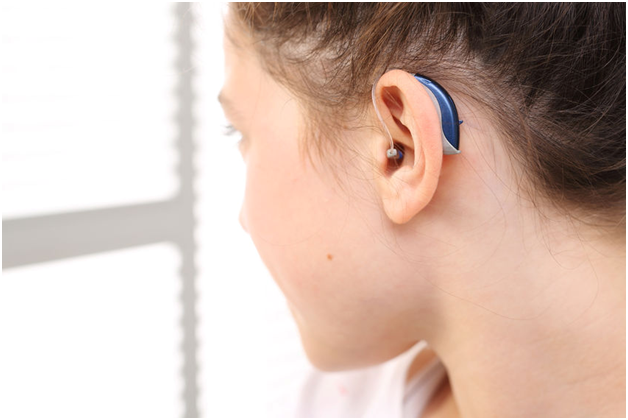 The budget of the individual purchasing the hearing aid must be taken into consideration, as well as the expected length of life and maintenance costs of the invisible hearing aid. An additional consideration before one makes a final decision include whether the device features a directional microphone, which can be beneficial in situations where background noise is an issue. The consumer also should consider whether the device is compatible with a hearing aid telephone adapter, which amplifies telephone conversations while reducing outside noise. Another consideration is whether the hearing aid can be adjusted by the user via personal computer or other methods, or whether all adjustments have to be made by an audiologist or hearing aid dispenser. Finally, an individual needs to determine if the invisible hearing aid can be kept clean and sanitized by a hearing aid dehumidifier. A hearing aid dehumidifier is not only a safe and dry place to store the hearing aids when not in use but it is also a wonderful device to keep the hearing aids clean, thereby prolonging its life. It will do an individual good to read reviews of the best dehumidifiers for hearing aids first before opting for an invisible hearing aid, or any type of hearing aid for that matter, to see which humidifier will work perfectly with the hearing device. Invisible hearing aids are definitely preferable for many users as it makes the wearer feel more normal. There are many technologies that can make it work for them too so that life can appear almost normal again.